Manufacture of part by injection with microfluidic channels for medicine dispensing devices. Development of manufacture method for microfluidic channel inserts and for a range of inserts. 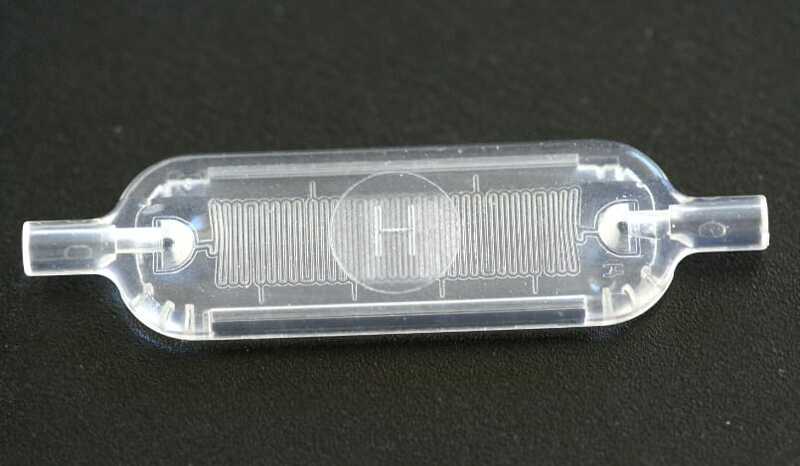 The company had designed a medicine dispensing device; being a key element, the microfluidic capillary that controls the dosage. In order to make this element, it was necessary to manufacture it by injection, with the resulting microchannel being homogeneous and with narrow tolerances. What was needed to this end was a steel insert for moulds with structures between 50 and 100 micros and an aspect ratio of 1. The micro-milling conditions were optimised in order to minimise sharp edges and achieve a good surface finish in the injected part. More than 15 inserts were made so that the company could launch the product onto the market for its use for different needs in self dosage.